Encountering ignition key problem? Now no more as Auto Locksmith Arlington are the ultimate Ignition Replacement experts. We are the most affordable locksmith service as well as the quickest, best of all we are just a phone call away! Auto Locksmith Arlington offer quality ignition system services with guaranteed 100% client satisfaction. Also Our mobile vans are fully equip with advance fault detection machine and we commit to provide you economical services. We are also available 24 hours a day 7 days a week for resolving all your car ignition system and car ignition keys annoyance. With a team of talented technicians, we commit to serve you the high end services at lowest possible rates. 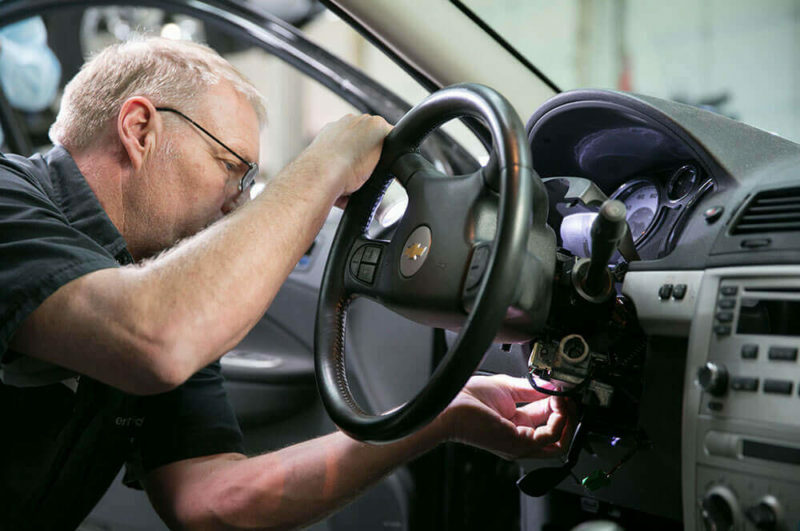 Our ignition services include ignition switch install and repair, ignition lock repair, ignition problems, broken key extraction. In most cases ignition key or switch problems can resolve without the need for replacement parts which can be quite costly. Furthermore, Auto Locksmith Arlington ignition key repair service will save you money and time and get your car up and running quickly and hassle free. We have also long experience with keys or other object stuck in the ignition. Key not turning in ignition or damage to the ignition key from an attempted theft. Repair may not always be an option and in such cases you will need an ignition key replacement. As pointed out above, one of the situations which will require full replacement is if the key snap. And also stuck in the ignition thus you are unable to turn the car on, or switch it off. An ignition key replacement is also needed when you simply lost your keys or damaged the ignition key – a bent, twisted or broken key is a relatively common problem. All in all, this goes to show that a faulty or broken ignition key means you are going nowhere. Auto Locksmith Arlington is the leading expert in car locks and is the go to place to call for ignition change/outs, ignition repair, and other vehicle ignition services. With over 5 years of experience, we offer fast, same-day, affordable services.